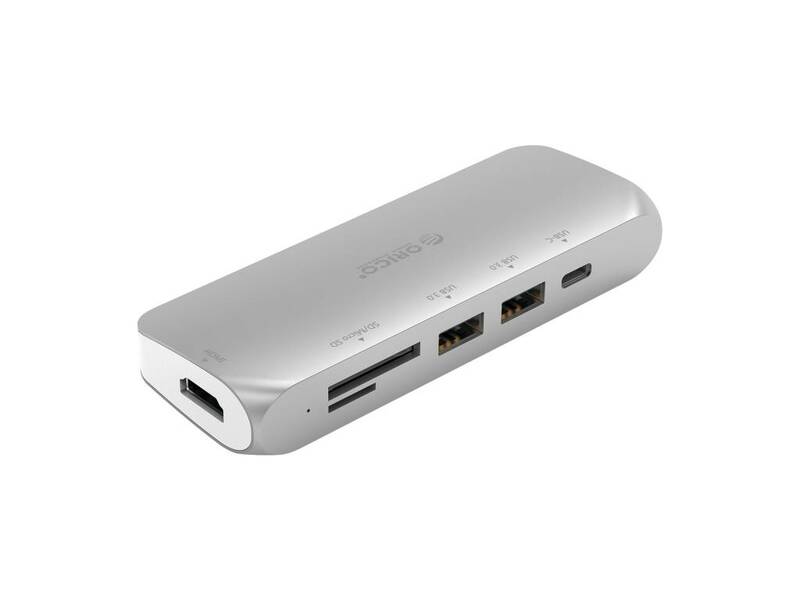 Stylish and multifunctional aluminum hub with Type-C connection. Features Type-C Power Delivery, a 4K HDMI interface, 2x USB3.0 Type-A ports and an SD / TF card reader. 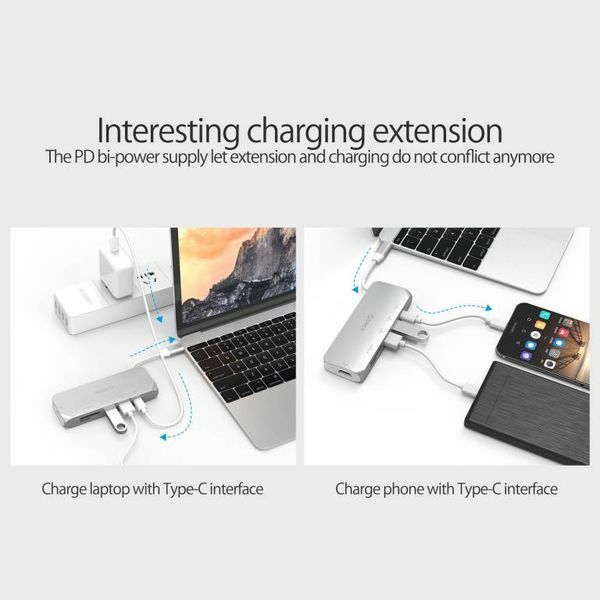 Do you have a laptop with Type-C connection and would you like to be able to use multiple Type-A connections? 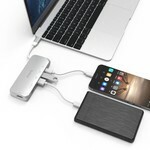 Then this stylish USB3.0 Type-C hub is the product you need. By connecting the hub to your Type-C connection of, for example, your MacBook, you create two (extra) Type-A connections. 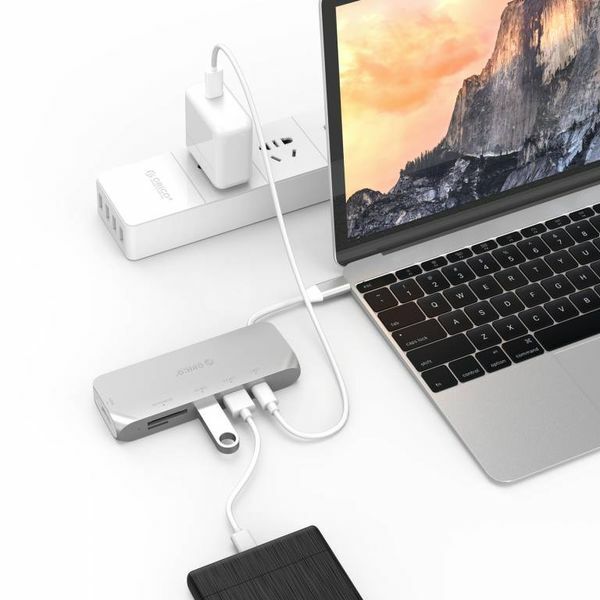 Very useful if your laptop was not fully equipped or if you want to connect more peripherals! 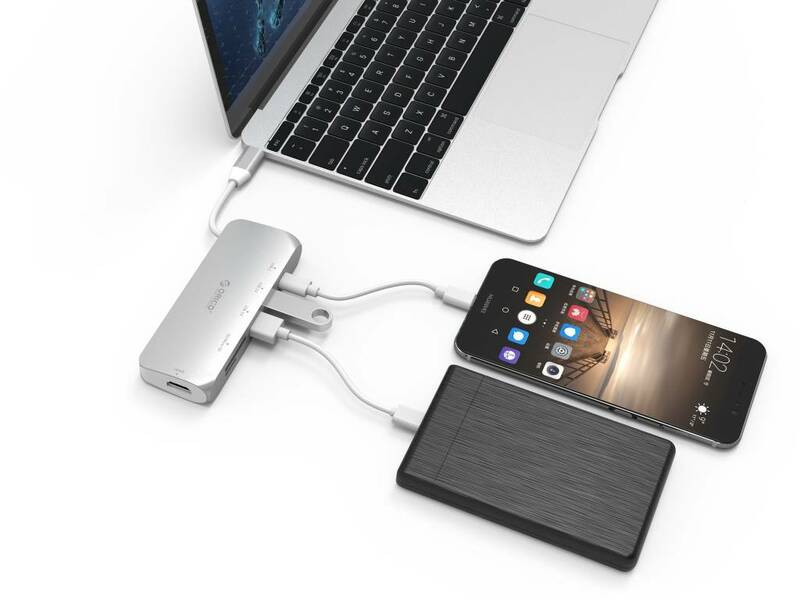 In addition to simply creating additional Type-A ports, you provide your laptop directly from an SD / TF card reader, a 4K HDMI interface and a Type-C Power Delivery interface. 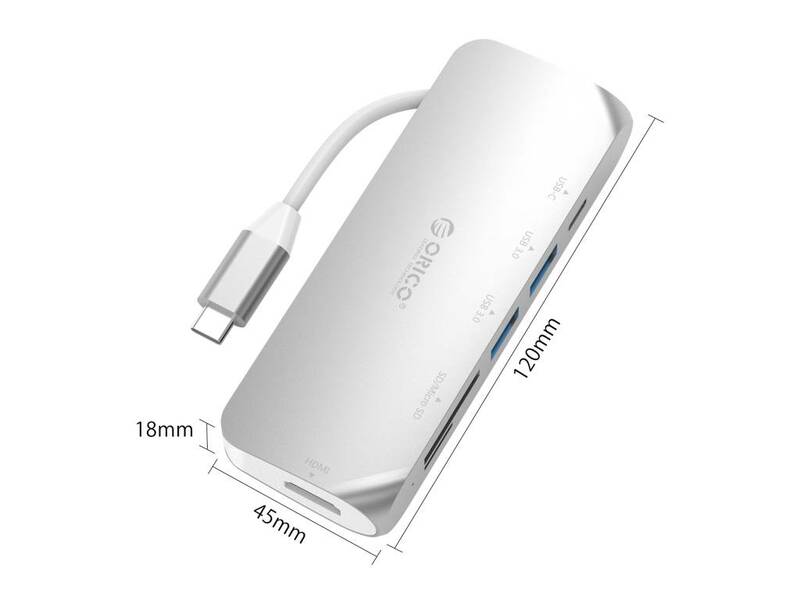 By connecting this aluminum hub from Orico to the Type-C connection of your laptop, you create two (extra) Type-A ports. These are all provided with a chip, which optimizes the performance. 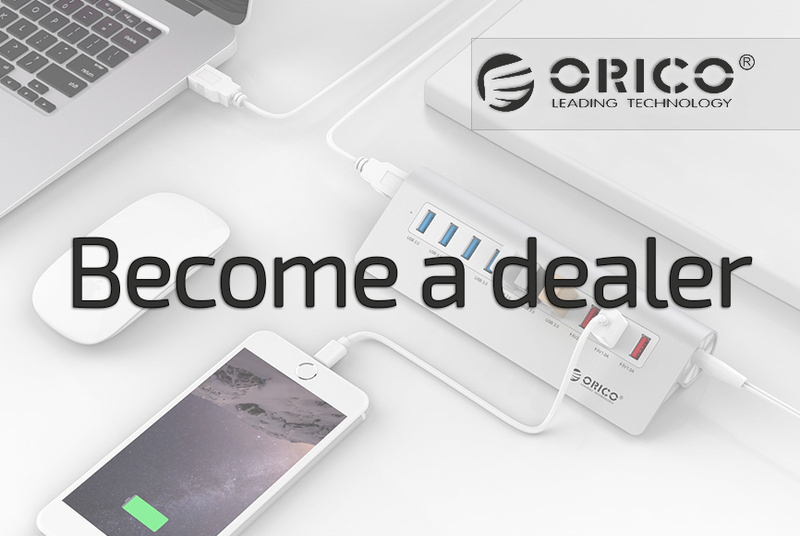 Thanks to the USB 3.0 SuperSpeed ​​technology, transfer rates up to 5Gbps can be achieved. This is no less than 10 times faster than the transfer rate of USB 2.0. On the two Type-A ports you can connect peripherals, such as a printer, keyboard, mouse, hard disk or USB stick. 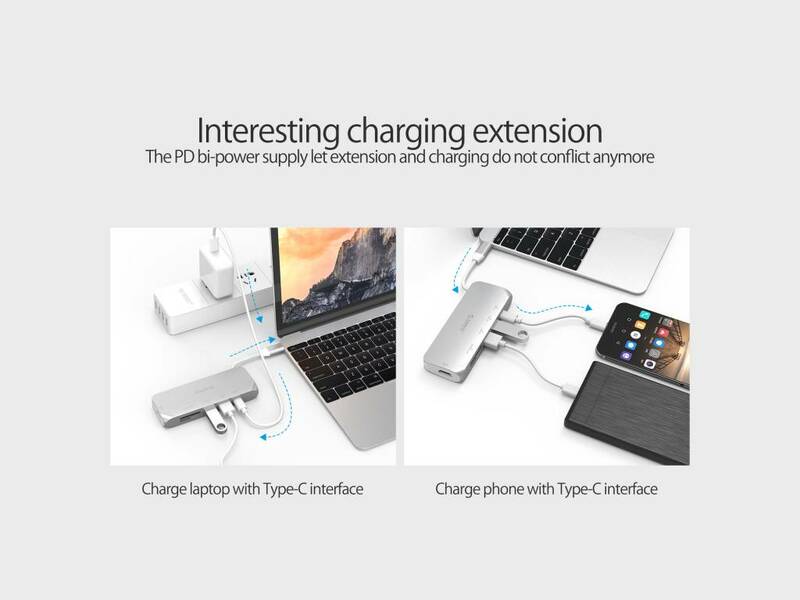 Thanks to the latest USB Type-C connection with PD function, you can not only benefit from fast data transfer and charging from your laptop, you can also charge your laptop via the USB Type-C connection. 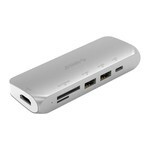 The aluminum Type-C hub is equipped with an HDMI converter. The converter supports 4K Ultra HD picture quality. This way you easily connect your HDMI display to your Type-C output. Ideal if your latest laptop / MacBook no longer has this option. You can watch TV, view photos and videos and play games on a big screen. It works efficiently with two screens. And all this with a 4K picture quality thanks to this hub. What is very useful about this multifunctional Type-C hub is that it also incorporates two card readers. 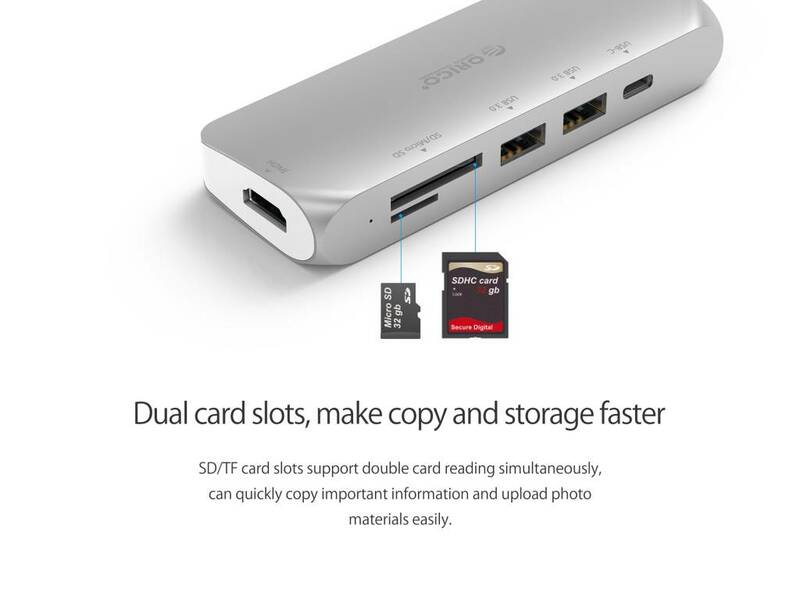 One card reader supports SD cards, while the other can read TF cards. 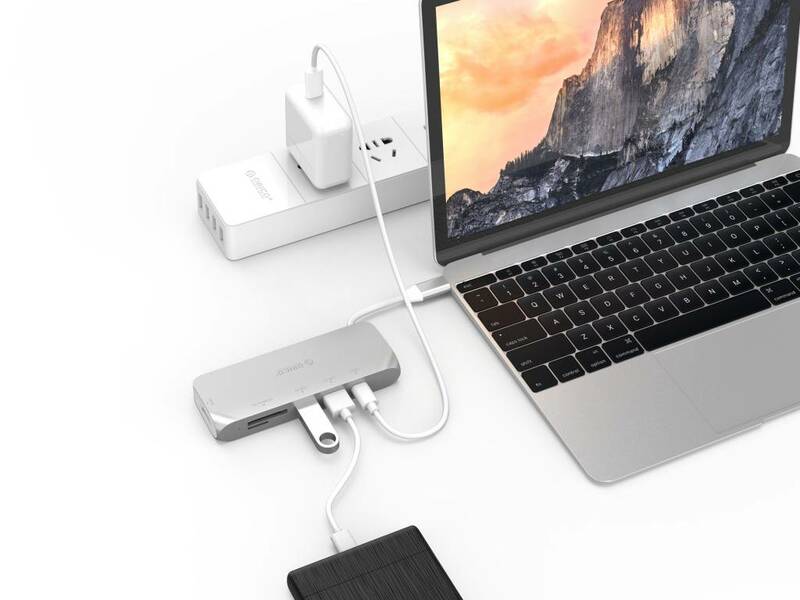 Ideal for when your laptop or computer does not have a card reader. 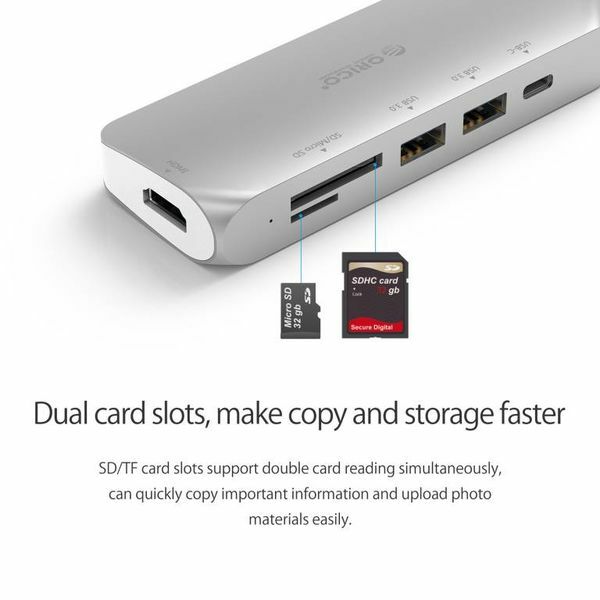 The SD and TF cards can be read simultaneously as soon as they are both placed in the card reader. The hub can be connected to laptops, computers and telephones which have a Type-C connection. The hub is supported by Windows XP, Windows Vista, Windows 7/8 / 8.1 / 10, Mac OS and Linux. All kinds of peripherals can be connected to the hub itself. The card reader supports T-Flash and SD cards. The silver aluminum hub is finished with a matte finish. This makes the hub look stylish and fits well in a "Mac Style" or other environment. 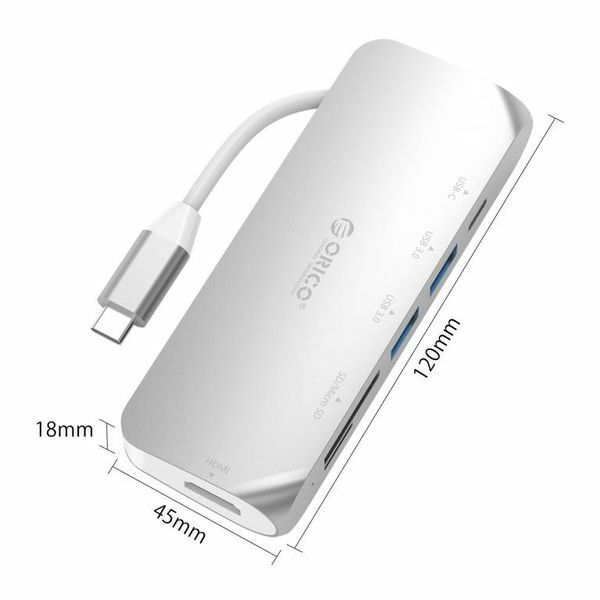 The Type-C hub with card reader is compact and therefore easy to take anywhere. 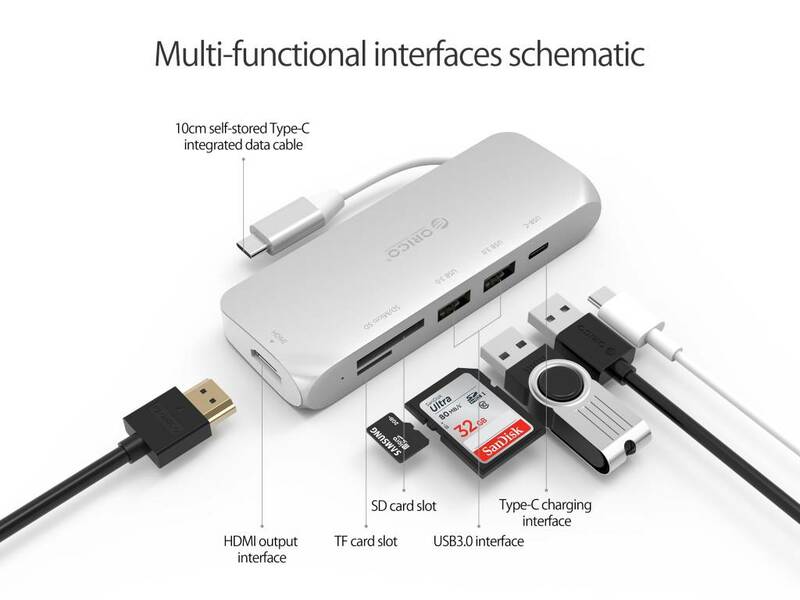 So you always have extra Type-A ports, an HDMI port and a card reader at your fingertips. Very handy for example during a long flight, a conference or at a presentation at school. ✔ USB 3.0 Type-C hub. 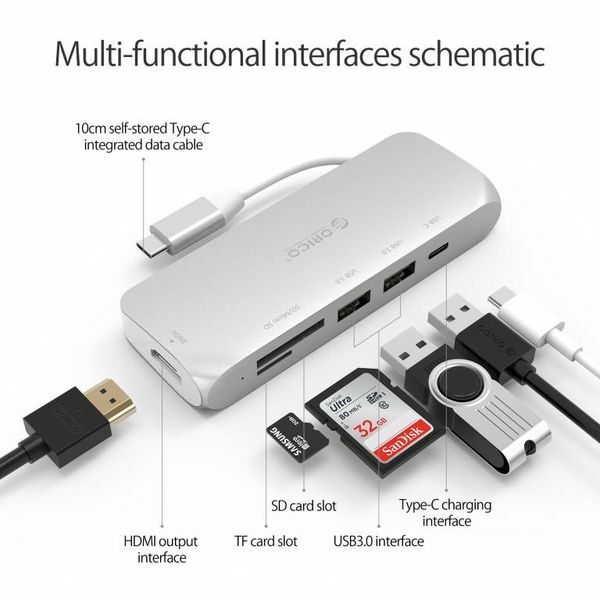 ✔ Output: 2x USB3.0 Type-A, 1x SD / TF card reader, 1x HDMI 4K, 1x Type-C PD. ✔ Compatible with device with Type-C connection, SD / TF cards, various peripherals. ✔ Length of integrated data cable: 10 cm. ✔ Product dimensions: 45mm x 120mm x 18mm.